The Emergency Care Help Organization, or ECHO, is opening a satellite office in Riverview with the official groundbreaking scheduled for October. The long-time Brandon agency helps families that have been devastated by fire and other disasters, helps people find jobs and otherwise assists families struggling to make ends meet. As the Emergency Care Help Organization (ECHO) in Brandon began to bulge at the seams, lacking enough parking and space for clients, Executive Director Eleanor Saunders took a peek at the client data. She discovered that 25 percent of ECHO clients come from southern Hillsborough County. It took some work but with help from Hillsborough County, which found space for a south county ECHO branch and a grant from Bank of America for startup costs and a center director, a new center is about to open. Emergency Care Help Organization plans to break ground in September on its new Riverview location at the Riverview Neighborhood Park at Riverview Drive and Capitano Street, behind Riverview Elementary. And they’ll need 50 volunteers a week. The ECHO satellite center will offer emergency food and clothes. “Once we get up and going, about 18 months, we will introduce our back-to-work program, as well,” she said. The new center will have a much smaller footprint than the Brandon site. “We are not going to take in mass donations. We just won’t have the space. We are asking that the majority of all donations be dropped off at north Brandon. We just don’t have room for massive amounts of sorting. “We are at capacity at our north Brandon site and have been for years,” Saunders noted. “There is nowhere to park. Between the volunteers, the emergency food donations, etc., we needed to take the pressure off this location in some way. The new center director will be Steve McKinnon, who has been an ECHO volunteer for more than a year. He was the Chief Operating Officer for The Flyer until it was purchased, and he decided to take early retirement. 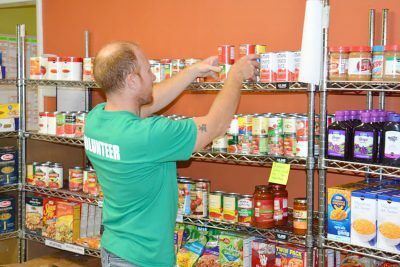 Last year, ECHO of Brandon, whose mission is to end hunger in southeastern Hillsborough County, help those who have lost everything to a fire or other tragedy and help those who need it find employment, took the $25,000 grand prize in Social Venture Partners’ first Shark Tank-styled competition for social entrepreneurship in the Tampa Bay Area. As a way to supplement its income, ECHO has started a Handmade program, using local artisans to turn old clothes and used housewares into new handbags and jewelry. Shop at www.echofl.org/about-echo-handmade/. To learn more about ECHO, to get help or to sign up as a volunteer, visit www.echofl.org/.